Jeremy Corbyn and John McDonnell want to build a country that is radically more democratic. They have proposed a swathe of policies to give people more power in the workplace, the media and our public services. 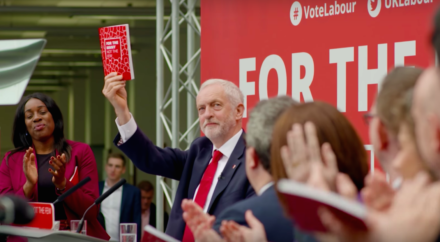 Labour’s last general election campaign brought this hope of a more people-powered politics to vivid life – packing out stadiums, inspiring people online and persuading millions more younger people to vote. Now a “democracy review” is proposing reforms for a more member-led party to Labour’s upcoming party conference in Liverpool, not least on candidate selection (likely the real reason for Brexiteer Frank Field MP’s sudden resignation). The politics of these reforms may be knotty, but the principle is surely straightforward. Westminster desperately needs renewal, and seeing a wave of exciting new candidates like New York’s Alex Ocasio-Cortez emerge in countries with more bottom-up systems argues to many of us for opening up things even further. As Corbyn once said of attempts to challenge him as an MP in the time of Blair: “The whole point of democracy is that the people decide.” We should be able to change our minds as we learn more, or as new threats and possibilities open up. But is Labour capable of applying this democratic principle to Brexit, now the greatest and most urgent challenge facing us? The answer comes down to two questions. Are Labour’s grassroots and leadership capable of rising to this democratic challenge; and if Labour does take a stronger position, would this destroy its chances in the next general election, or help win it the millions more votes needed for decisive victory? The demand is now clear: the overwhelming majority of Labour members support a final say on the deal, and a growing groundswell of constituency parties, unions and grassroots campaigns are calling for a full Brexit debate and a policy rethink at conference. Corbynsceptic MPs like Chuka Umunna might dominate the airwaves; but as the full scale of the Tories’ Brexit omnishambles becomes clear, most campaigning is coming from the heart of the left, with Momentum members, union leaders like Manuel Cortes, Labour for a People’s Vote and Another Europe Is Possible. This weekend Momentum’s leadership will consider a Brexit petition signed by thousands of members, myself included. We are calling for democratic consultation in the movement and the party, voting against any outcome which fails Labour’s tests, and giving the public a final say. Momentum’s appetite for new politics is illustrated by the fact that they give members the right to propose such initiatives from the bottom-up, and even to force a democratic vote if they collect signatures from 10% of the membership (currently around 4,500 people). This is the first petition which might hit this threshold. I hope and trust that Momentum’s founder Jon Lansman and his colleagues will respond democratically; they may of course prefer to pre-empt a vote by conducting a balanced survey of members’ opinions on Brexit, which could be just as good. There will be nervous voices arguing that Momentum should ignore this bottom-up call, or retreat to the smoke-filled rooms in which old-politics deals are typically cooked up for party conference. But we saw last decade how this top-down “bunker mentality” dragged down the governments of Blair and Brown, isolating them from their grassroots and the country at large. We cannot let the same tragedy befall today’s Labour movement and leadership. What are our practical options? Some still argue for the merits or democratic inevitability of Brexit; but this ignores the mess the Tories have made of it and the accelerating shift in public opinion, particularly among Labour’s current and potential voters. There is an increasing consensus, including among the leadership, that Labour should vote against Theresa May’s bad deal or no deal in Parliament. With Tory Remainers and Leavers splintering and the opposition uniting to defeat the government, this vote looks winnable. The question is what happens next. Many want to seize the initiative through a fresh general election, and try to do Labour’s own “jobs-first” Brexit deal and/or hold a referendum on the terms. This can be our first declared goal, but it looks very tricky; even if they change leader, the Tories will block an early election through the Fixed Term Parliaments Act, while locking in whatever Brexit they can salvage. These realities leave many campaigners and an emerging majority of voters concluding that in the end, giving the people a final say is our likeliest route out of this Tory Brexit quagmire. While we are fast running out of time, European leaders have confirmed that they would extend the Article 50 deadline if a nationwide vote (election or referendum) is called. And even if a referendum comes first, defeat of the government’s central obsession gives us our best chance of a general election. The next three to six months are therefore crucial. But Labour cannot drift unharmed and passive through the coming chaos. We must show clarity and leadership if we are to win, be it in Parliament or in the country. The final obstacle in some people’s minds is the question of whether voting against a bad Brexit deal or giving the public a final say will decimate Labour’s electoral coalition, losing us the next election. As a recent candidate to be the party’s general secretary, I have been studying this question carefully. The good news is that increasingly it looks like the reverse is true. Massive polling and cutting-edge research and modelling projects by many different groups is giving us deeper insight into Labour’s current and potential future electoral coalition, including how that maps onto marginal constituencies and the Brexit factor. As the menace of no-deal comes into focus, and people realise the downside of messy fudges like May’s Chequers proposal, we are also seeing public opinion shifting on people’s preferred outcomes and whether to hold a vote on the final Brexit deal. These shifts are as yet modest at the nationwide level, perhaps a 5% swing to Remain. But the trend is clear; and crucially, it is concentrated among Labour voters and potential voters. To cite just a few hopeful facts, Hope Not Hate and Best For Britain conducted a massive research study using the same methodology YouGov used to correctly project the results of almost every constituency in the 2017 general election. They found 112 constituencies (mostly Labour-held or Labour targets) switching from leave to remain, with much bigger swings in historic Labour heartlands like Wales, the north-east and Yorkshire, and positive shifts also taking place in Scotland and in key Tory-held marginals in the south. Recent YouGov regional research is finding similar trends. Alongside other factors, the big surge in under-40s turnout in 2017 left us with bigger and more Remain-friendly majorities in a majority of heartland seats, as another massive YouGov project based on hundreds of thousands of responses found earlier this year. Dozens of Labour’s winnable target seats are in Remain-dominated Scotland, where Labour is currently seriously struggling; a stronger position on Brexit could make all the difference there, as well as in key marginals in the south. Crucially for the heartlands, studies are finding that almost a third of Labour Leave voters are already switching toward Remain, particularly among the poorer white working-class, the young and BME voters. Even those who have not yet switched are much softer in their views than UKIP or Tory voters; there is evidence that social and economic issues count much more for them than Brexit, so Labour could offer them an alternative route of hope for change; and as the Brexit fantasy collapses further, it is credible that we could keep the large majority of them. Meanwhile, the risks of the current ambiguous position are also clear in the numbers. Smaller pro-Remain parties have been slowly rising in the polls at Labour’s expense since the last general election, by about 4-5% overall according to YouGov, as have the “Remain-undecided” segment of the electorate (around 9-10% who are now up for grabs). Perhaps three-quarters of Labour’s current vote support is people who voted Remain in the referendum or are otherwise Remain-leaning (such as new younger voters). Labour risks losing more of these people if it does not stay ahead of the Brexit curve as things get worse, but it could win many of them back through stronger opposition. Finally, YouGov’s latest 10,000-sample research on 4 million Labour target and potential voters found a similar pattern: 69% of them want to stay in the EU and only 31% want to leave, while a similar majority of these potential supports a people’s vote. It is a basic principle of psychology that we focus more on what we stand to lose from a decision than what we could gain. But this tendency is often misleading. Evidence is now piling up that Labour stands to gain much more than it would lose from opposing the Tories’ Brexit mess more robustly, and that Labour’s membership and electorate are broadly well-aligned on this. Democratic debate and courageous leadership are not only right in their own terms; they also look to be in our electoral interests. None of this means that Jeremy Corbyn should immediately paint his face in the colours of the European Union or call for the cancellation of the 2016 referendum. Labour needs a robust and open democratic debate at conference. It can clarify its opposition and proposed alternatives in a way which makes it clear that it will act with respect for Leave voters and the result of the original referendum. For example, it might be best to focus initially on opposing the Tory mess and calling for a snap election, after which Labour will negotiate the best deal it can and put it to a vote (as Paul Mason and others have suggested); while emphasising that the same basic democratic principle should apply to whatever outcome May comes to if there is no fresh election. It would certainly be smart for Labour to conduct its own research on how possible positions might impact on voting intentions for good or ill. But as we move into the Brexit endgame, the current ambiguity strategy has run its course. Hiding in bunkers is not an option; and if we get this wrong, our electorate may never forgive us. Now is the time for leadership. Now is the time for renewing our commitment to democracy – in Momentum, in Labour and on Brexit for the country as a whole. Paul Hilder is co-founder of CrowdPac.